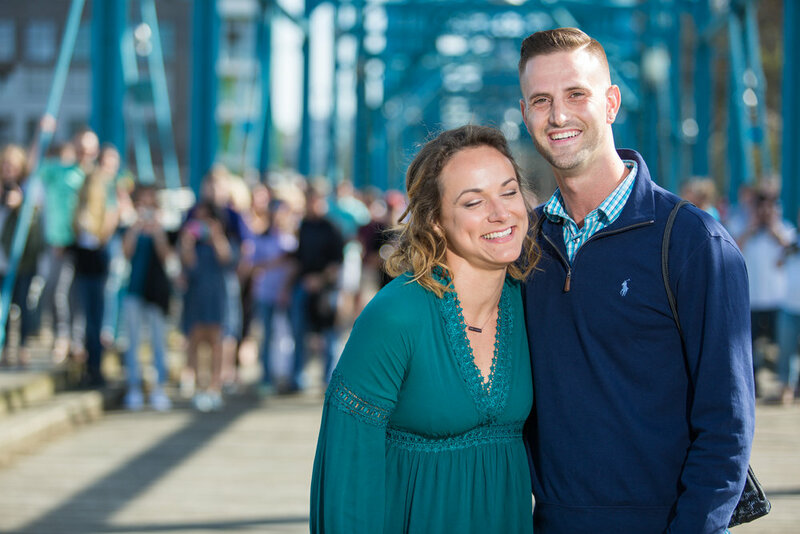 So Sarah and Chase come walking up to me as I was photographing a senior on the Walnut Street Bridge in Chattanooga. Chase said to me, "Hey, would you take our picture? It's our first time together in Chattanooga." What the heck. Of course I will. Do you really think Chase walked up to a random photographer? So I took their picture - being careful to make sure Sarah kept her back turned to the city side of the bridge so she wouldn't see the small army of people amassing behind the couple. And that's when I said to Chase, "Okay - I think you're good now." And who were those people? The couple's combined families and until she turned around, Sarah did not know they had snuck up from behind! This had all been arranged with me by Chase and Sarah's father, Tim; Tim is a friend of mine. It was a lovely surprise for the bride-to-be and in August I will be photogrphing their wedding. 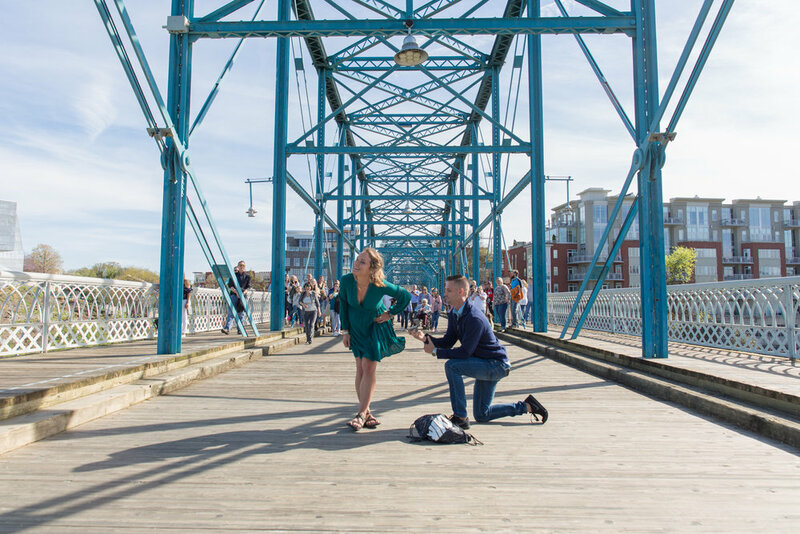 Congratulations to Sarah and Chase! 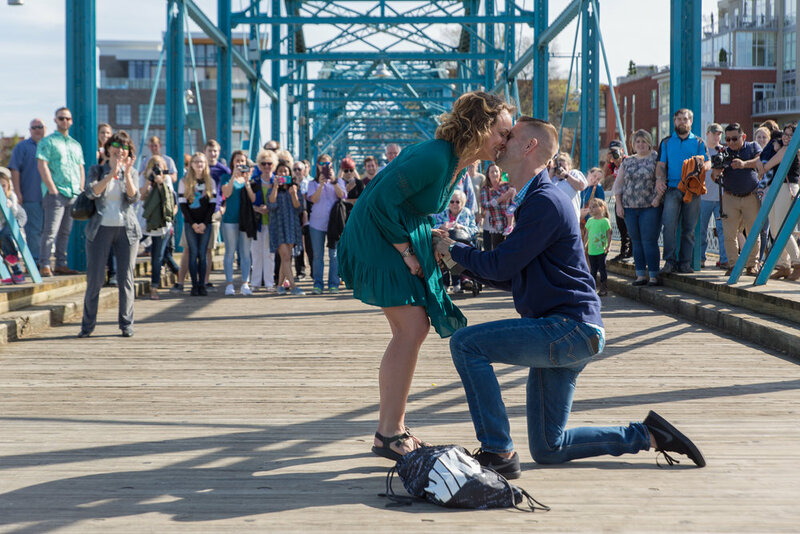 As I have said before, this is a life moment that deserves to be captured because it will become a treasured piece of history for this couple and their family, both now and in the future.